The Chinese company CRRC is building new Red Line subway cars in a plant in Springfield. 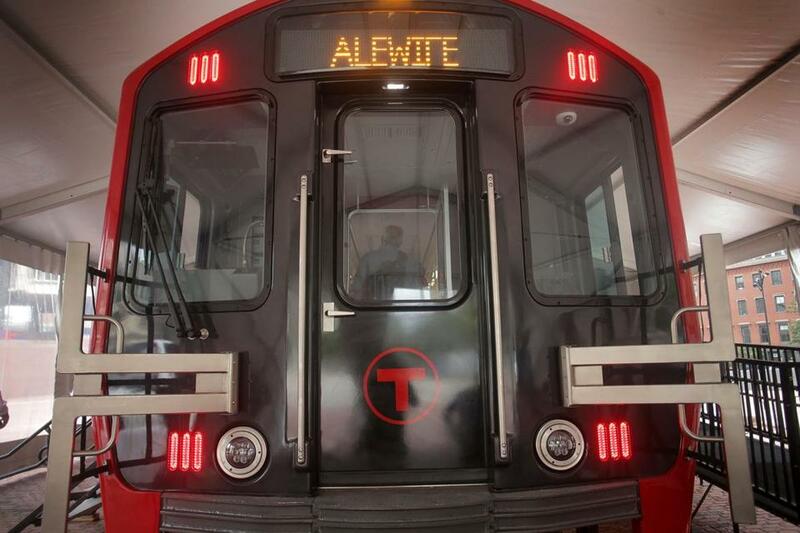 The Chinese company making hundreds of new subway cars for the MBTA in Springfield tried to require its nonunion employees to sign a noncompete agreement roughly one month before a new law takes effect that would limit such contracts in scope. The company, CRRC, quickly backtracked after employees complained. The clause could have affected about 150 employees. But the effort still raised concerns among three state legislators who were instrumental in passing the state’s new noncompete law earlier this summer. Senators Eric Lesser of Longmeadow, Will Brownsberger of Belmont, and Jason Lewis of Winchester, all Democrats, wrote in an Aug. 30 letter to state transportation Secretary Stephanie Pollack that CRRC appeared to be rushing to put these agreements into place before more stringent limits take effect on Oct. 1. Earlier in August, CRRC sent a memo telling nonunion employees in Massachusetts that they must sign a contract by Sept. 3 that included an agreement that they would not work for a competing company for 18 months after they leave. The new law will limit such noncompete terms to one year. But on Aug. 30 — the same day as the senators’ complaint — CRRC told the employees the noncompete provision had been removed from the employment contract. After dropping the noncompete provision, CRRC circulated a modified version of the proposed contract with nonunion employees that still included nondisclosure and no-solicitation measures. A spokeswoman said no deadline has been set for signing this new contract, and the company is still accepting feedback from employees. She reiterated that CRRC wasn’t trying to rush a contract through before the change in state law took effect. Rivera said CRRC employs 208 people in the state today, including about 150 who are not represented by a union. Several Boston lawyers said they are advising clients to adhere to the terms of the new law when drafting noncompete agreements before Oct. 1. Even before this law passed, companies, if challenged in court, would need to prove noncompete terms were reasonable and necessary to protect legitimate business interests, and not just to prevent workers from joining a rival. “A court might rule that the 18-month agreement is not reasonably limited in time and revise it back to a 12-month noncompete,” said Gregory Bombard, a lawyer with Duane Morris in Boston. The new restrictions also prevent noncompetes from being imposed on lower-paid, hourly workers. And they require employers to pay departed workers half of their salary, or some other “mutually agreed upon consideration,” during the noncompete period. Christopher Geehern, an executive vice president at Associated Industries of Massachusetts, said he has not heard of any companies adopting noncompetes for the first time before the Oct. 1 deadline. Instead, many of AIM’s members are revising existing noncompetes to line up with the new law, just to be on the safe side. “Instead of the mentality of trying to beat the deadline, everybody understands what the new law says and wants to become compliant,” Geehern said.